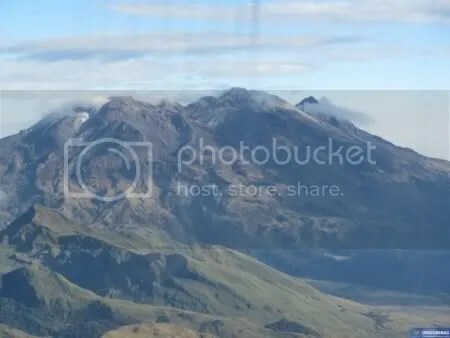 Posted by admin in Colombia, Galeras, volcano monitoring. 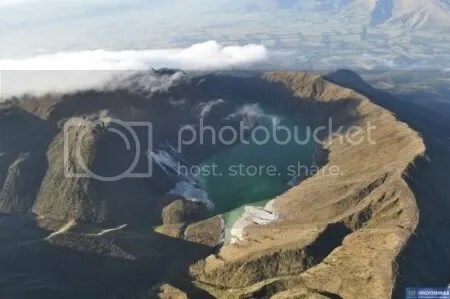 A helicopter of the Colombian Air Force crashed yesterday on its return to a military airfield in Pasto after completing an overflight of Galeras volcano for the Colombian geological service INGEOMINAS. The helicopter was carrying two Air Force crew and two INGEOMINAS personnel. The co-pilot, an Air Force lieutenant, died in the accident. In co-operation with the Colombian Air Force, INGEOMINAS operates a programme of frequent overflights as part of its work of monitoring Colombia’s active volcanoes. Such overflights are a vital element in the monitoring and research work carried out by volcanological and geological authorities across the world. This accident is a sad reminder that this essential work is not without risk. The latest bulletin for Galeras volcano, covering the week leading up to 17 November, was published by the Colombian state geological service INGEOMINAS yesterday at 18:00 local time. The bulletin reports fluctuations in both the frequency and the energy of the volcano’s seismic activity, with the majority of the seismicity consisting of a combination of rock fracturing and fluid movement quakes. The rock fracturing events are concentrated around the principal crater and follow a north-west to south-east alignment, and are at depths of less than 2 km and show magnitudes of less than 1.8. A number of tornillo type earthquakes were registered at the end of last week: this is significant because events of this kind have occurred during the periods preceding earlier eruptions of Galeras. During the 14 November overflight very low levels of gas emission were recorded, along with thermal anomalies in the interior of the principal crater showing temperatures of up to 110 degrees centigrade. 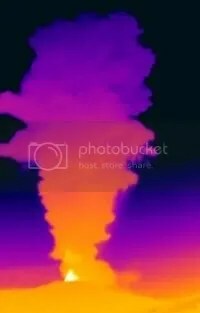 No sulphur dioxide emissions have been detected, indicating that the volcanic system is sealed, ‘preventing the escape of this type of gas to the atmosphere’. The volcano’s behaviour, notes the bulletin, ‘‘is similar to that recorded in the stages preceding some of the eruptive events which have taken place during the last twenty years’. Galeras remains at the second-highest level of Orange, ‘eruption likely within the next few days or weeks’. 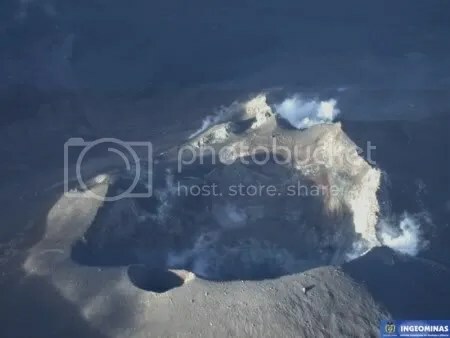 The summit crater at Galeras: image from INGEOMINAS overflight, 14 November 2009 (copyright INGEOMINAS). Colombia’s Galeras volcano remains at the second-highest level of Orange, ‘eruption likely within the next few days or weeks’. The most recent bulletin, issued on 10 November 2009, reports ‘a notable decline in the number and energy of recorded earthquakes’, with most seismic activity being associated with a combination of rock fracturing and fluid movement quakes. The majority of the earthquakes recorded have been located in the environs of the summit crater, at depths of less than 2 km and with magnitudes of less than 2. The bulletin highlights the occurrence of ‘some’ tornillo earthquakes (long- period seismic events typically associated with pressurized fluid movements at shallow depth), noting that such events were detected during the run-up to earlier eruptions of Galeras during the period 1993-9. No sulphur dioxide emissions have been recorded during the week 4-10 November, ‘which reflects a sealed system preventing the release of this type of gas to the atmosphere’. The bulletin concludes by underlining that the present behaviour of Galeras ‘is similar to that recorded in the stages preceding some of the eruptive events which have taken place during the last twenty years’. A new Galeras bulletin is due to be released by INGEOMINAS today (17 November). An overflight took place on 14 November, and the new bulletin should contain observations from that flight. 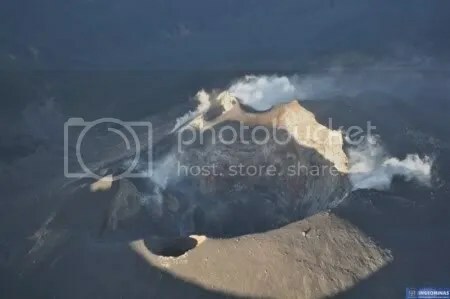 In the meantime a number of photographs taken during that overflight of the summit area of the volcano (including that reproduced above) are available on the Pasto observatory website. Seismic activity has increased both in number and in energy level; the events associated with the fracturing of crustal material are largely located in the vicinity of the main crater, at depths of less than 2 km and magnitudes of under 2. However in the last fifteen hours the seismicity has markedly declined. Volcanic gas emissions have been low; particularly, in the last few days, no emissions of sulphur dioxide (SO2) have been detected. 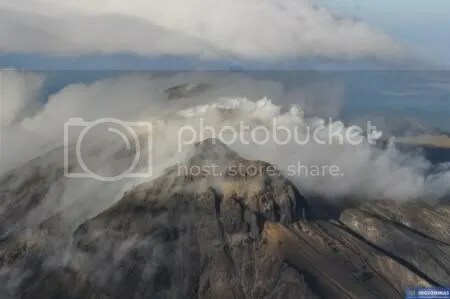 The process of development at Galeras shows a similar behaviour to that recorded in the days leading up to the eruptive event of 30 September 2009. The simultaneous threat of activity at Galeras and Nevado del Huila is exercising the minds of governmental and NGO officials in Colombia. Emergency authorities have estimated the number of people at ‘imminent risk’ from the two volcanoes at 9000, reports Caracol Radio, but there is the usual reluctance among those living in at-risk areas to evacuate: ‘The communities in the area of high risk are still unaware [of their danger], they have not evacuated to safe points’, complains Carlos Iván Márquez of the Colombian Red Cross.